Note: Only one chest location in each area has a chest. Also, don't forget about the elite mobs roaming around below the Wyrmrest Temple, they drop as well. To that end, I strongly suspect that the can *only* drop completion items for those portals that you have actually completed once in the past. So it may be worth it to accept that you're not going to make it and complete each one at least once; that way you can have the other completion items drop for you. I'm just coming out from an almost perfect run completely ruined from Chromie, 250 extra seconds, 3/4 and few damage reduction stacks. I'm not sure if this was a bug or not, but during 2 separate runs I received the option of getting and did NOT select it or the other choice. I didn't choose anything, so that I could force a Stratholme or Andorhal skip; when I finished Hyjal and/or Well and clicked on my , there was no longer the option for . I thought that it was predetermined based on which portals had been completed at the time of choosing , but it appears that it may be predetermined at the time of picking up . Not to sure if this was mentioned or not, but is tailored to the remaining scenarios and is not random. So do the scenarios that you know you are the fastest at before using your . The guides here are fantastic information, make sure you pay attention to the location of chests, magnataur and choose wisely with the timeline options. I was clicking away so fast I chose extra time instead of a Time-Lost Keepsake Box , so be careful when clicking! Bottom line, this is totally RNG. I completed this after several attempts as a disc priest and with only 2 Chromie talents. If you haven't gathered at least 2x Time-Lost Keepsake Box by the time you have completed the 4 dragonshrines, or at least 5minutes worth of extra time, it is better to just restart the scenario until you are lucky enough to get more time-saving options. Right, so I have been farming this scenario for a bit now with the 100% increase drop on and here are the assumptions and results I have come up with. (Damage and Healing increased by 10%) per stack so far has no cap - me currently being at 56 stacks and it is still going. (Run speed increased by 10%) per stack has a cap of 10 stacks. (Damage taken decreased by 10%) per stack has a cap of 9 stacks. (Scenario duration increased by 10 sec) per stack has a cap of 100 stacks. - it can be obtained through . Every time it is one of the 2 choices when sands are used it will give you 10 badges. - Contains anything from 30 to 60 gold and a chance for 2 companions: and . There are no time limitations as long as you clear all 8 maps within 15 minutes which should not be too hard with the drop rate increase on . I think it's a decent way of farming which rivals the timewalking way of farming as long as you do it at a decent speed. It is also a way of getting passive gold along with the badges and possibility of AH selling the companions. Never ever pass up on and from , that's what you're here for. I explain it more indepth below. Definitely do not attempt this before researching Chromie's tier 5: . This is the bread and butter of farming the scenario, so wait for it, then come back. : definitely the more solid option once you have all talents..
: I recommend dps-ing as you keep control over what you do. Of course get the other one if you're farming as healer. : noticing instantly where the chests are speeds this up. Drakes help but aren't required. : pretty much essential too if you want a Farm Loop, though useful for a Reset Loop too. Left if , or : the currencies are the reason to farm this, and the Keepsakes still speed thing up tremendously. Right otherwise: , (100 max), (10 max), (100 max), (9 max), are useful, not crucial. Left always if you max out all buffs as there's nothing to gain from the right, regardless of (100 max) and reputation being pointless. The lattter is only really possible during a Farm Loop. One hint for using during a Farm Loop: bind it with a macro for easy use. You should be having max stacks on and fairly soon. After that check if the right side is . If it's not, just choose left. If it is, check quickly if the left is or , if so use that, otherwise . If you stay in so long that you max out , just use the left by default. As first note: always use right away, buffs can help big time. For either run (Reset or Farm) just use Bronze Drakes and Keepsakes as you get them. Teleport to the Obsidian Dragonshrine. Fly out and kill . Go back in and kill . Teleport to the Ruby Dragonshrine. Kill and get the Time Chest in the shrine. Fly out and kill . Fly to the base of Wyrmrest and kill . Fly to the Azure Dragonshrine. Search for and kill as you go in. Kill and get the Time Chest in the shrine. Fly to the Emerald Dragonshrine. Kill as you go in. Kill and get the Time Chest in the shrine. Teleport back to Wyrmrest. Turn in the Shrine quest and use all unused . Stratholme (): go through the Market Gate, if the Time Chest is on the Market Row get it. Kill , save Chromie and leave. Well of Eternity (): use the Moonstone. During flight look for the Time Chest, if it's up the stairs to the left, go back and get it. Kill and leave. Mount Hyjal (): use the Brimstone. Kill the , get the Time Chest and leave. Andorhal (): turn the documents in, and accept and complete the quest from Chromie and leave. Kill , and as Horde, or , and as Alliance. Leave. Go to Andorhal. Get the Time Chest at your faction, then the opposite. Kill , and as Horde, or , and as Alliance. Leave. Time Chests (and most mobs) respawn after 5 minutes. One might want to swing by Dragonshrine with chests after clearing time portal hoping for (especially if all you have left is Stratholme and there are less than 5 minutes left). You can still do the scenario after you complete the quest . 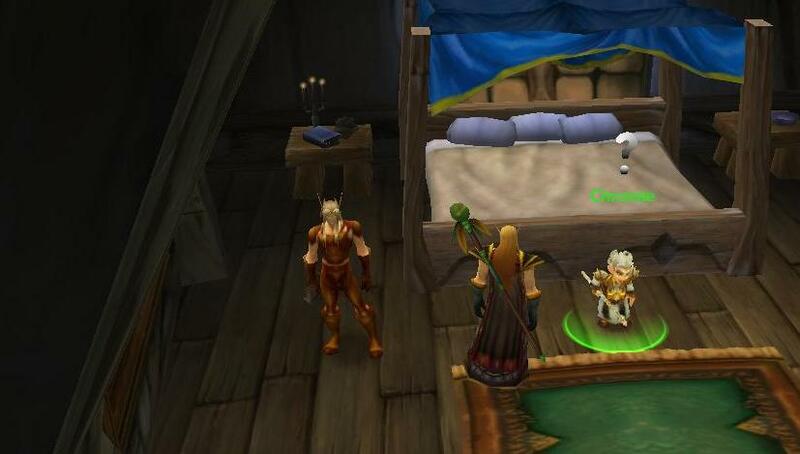 If you want to farm the pets (, ), gold or . There are no droprates on the usefull items ( right options), so I did some runs to provide them. drop, depending on the routes you take, up to 4 per min without the Chromie upgrade and up to 8 per min with the Chromie upgrade. The drops, on average, 37.5 gold. It has also a 10% chance to contain an or . If you crunch these numbers you can do 3500 gold / hour with the . Note: I did not get any out of the . Secondly, whatever Time Chests there are in each scenario you run, they will respawn! Once you got the quest itself done and are doing repeats, set up Chromie's buffs for speed, offense, and . When you stop all eight attacks on time (I prefer to do the dragonshines myself, as using does not give you from the bosses, and the dragon will buff you instead) and reach the Final Stage portion, the timer will freeze, waiting for you to exit out. Instead, just stay inside and hit all the Time Chests again. I did this only for the wallets, but as you pick the buffs to ignore the extra rep, you will get increasingly more powerful and if you want, use this to wipe out trash for extra . Of course, more wallets means you'll get more gold, but doing it this way, I also got extra s and s.
When you stop all eight attacks on time (I prefer to do the dragonshines myself, as using does not give you from the bosses, and the dragon will buff you instead) and reach the Final Stage portion, the timer will freeze, waiting for you to exit out. Instead, just stay inside and hit all the Time Chests again. I did this only for the wallets, but as you pick the buffs to ignore the extra rep, you will get increasingly more powerful and if you want, use this to wipe out trash for extra . Of course more wallets means you'll get more gold, but doing it this way, I also got extra s and s.